The last Saturday of each month, a few friends and I gather in the pub at Barncastle to play a set or two from the Grateful Dead songbook. It began as a way to keep the rust off our guitar strings but now it has grown into so much more: a small but lively gathering of the tribe, ready to sing these songs of our own one more time. And again the next month. 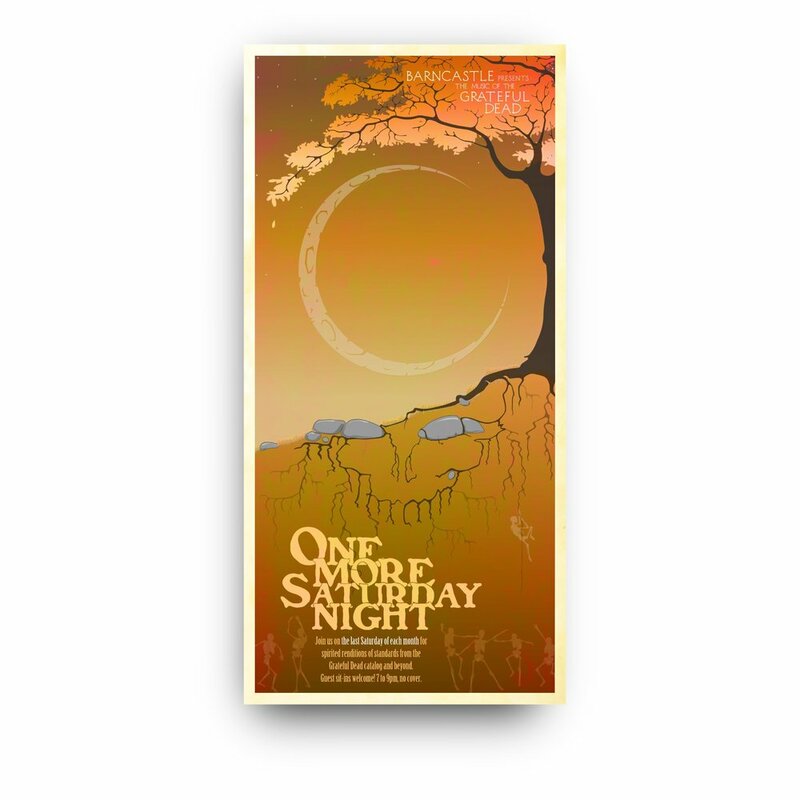 This poster combines a prevalent tree image from our old band Reach with Owsley's iconographic steal your face skull.